best social media marketing strategies, best social media marketing techniques, emarketer, which social media marketing tactics work best? – The greatest percentage of respondents cited creating articles and blog post content. Other forms of content creation also ranked high, including research and whitepapers for B2Bs, and video and audio for both types of companies. 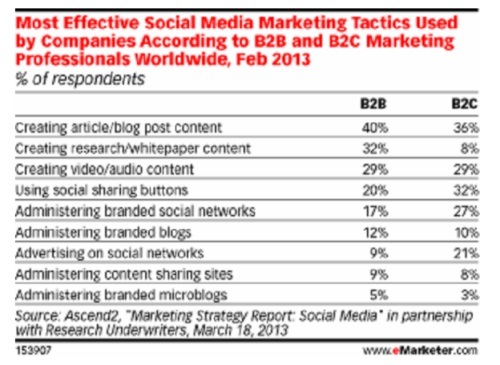 – B2Cs found advertising on social networks to be a much more effective strategy than B2Bs did.